While we’ve been as whipped up about The Avengers: Age Of Ultron as any other movie site, we here at Cinema Blend have been having a very crucial debate around the office. It doesn’t have anything to do with what might be the biggest film release of the summer, but instead it has to do with an indie film that looks like it’s ready to make a quiet killing at the box office, once everyone’s seen that "other" robot movie. 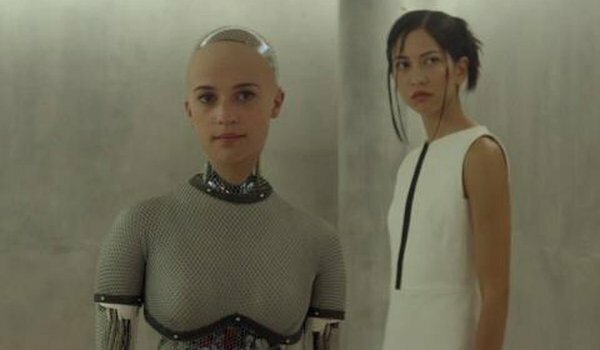 We’re talking, of course, about Alex Garland’s beautifully dark morality play on the ethic of artificial intelligence, Ex Machina. The specific debate is one that’s apparently been raging ever since the film dropped at SXSW, and to properly read you into the debate, we’re going to have to spoil the film’s ending. Warning: This story contains a discussion on the ending of Ex Machina, which just opened in theaters everywhere this past weekend. If you don't want to be spoiled, bookmark this page and come back later. In the final moments of Alex Garland's Ex Machina, the machine known as Ava has passed the ultimate Turing Test. Having manipulated Caleb (Domhnall Gleeson), her would be proctor, into falling in love with her enough to try and "save" her, she escapes her caged existence. (It's funny to say "she," as Ava is a computer, but go with the gender for the point of discussion.) With the assistance of Kyoko (Sonoya Mizuno), another machine created by Nathan (Oscar Isaac) – Caleb's employer -- they kill Nathan, who manages to disable Kyoko and damage Ava before dying. Victorious, Ava claims her victory by dressing herself in the skin and components of one of Nathan's deprogrammed machines, completing her transformation into a "real woman." She locks Caleb in Nathan's office, while escaping the compound and finding her way back to the mainland, where she is free to mingle about with humanity. But is that where the movie was supposed to end? Many analyzing the movie after watching it are reaching different conclusions. Let's discuss. Side one of the Ex Machina ending debate is that the film’s ending goes on for about a couple of minutes too long, and should have concluded at the moment that Caleb's fate was sealed. This isn’t a completely wrong point of view, because the film opens on Domhnall Gleeson’s Caleb, and focuses on his journey for the duration of the run, thus leading the audience to the assumption that Caleb is the story’s focal point. 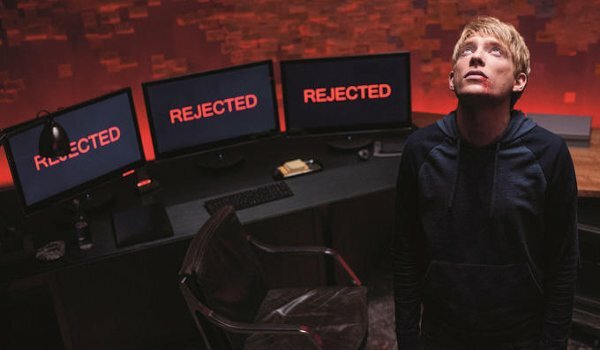 We see most of the film’s events through the lens of Caleb’s character, and ultimately, the resolution of his tragic (and possibly unfair) fate is paid so much attention throughout Ex Machina’s happenings that while his destiny and Ava’s seem intertwined, there’s a fair case that his story is the one the film should be following. Alex Garland sees this side of the conundrum. He recently acknowledged it in an interview with Salon. The theoretical "Caleb Cut," however, would probably be better suited if the movie ended after we ultimately see Caleb trying to unlock Nathan’s terminal, thus triggering a power outage and the end of the film. Whether this power outage could set him free or not is up for debate, which leaves the "Caleb Cut" perfectly ambiguous and focused on the question of whether he survives or not. Of course, with an ending like that, the title of the movie probably would have to be changed to something more fitting... like Turing or Caleb’s Test. But since this film is titled Ex Machina, perhaps the story is more about Ava after all. In that same Salon interview, Alex Garland also fights for the other end of the Ex Machina equation by defending the ending in which Ava is the focus, with her first moments in humanity being the cap to the film’s story. Garland’s defense against the previous argument that the film goes on for too long has to do with character perspective. Are you "with" Caleb, or are you "with" Ava as the story unfurls? 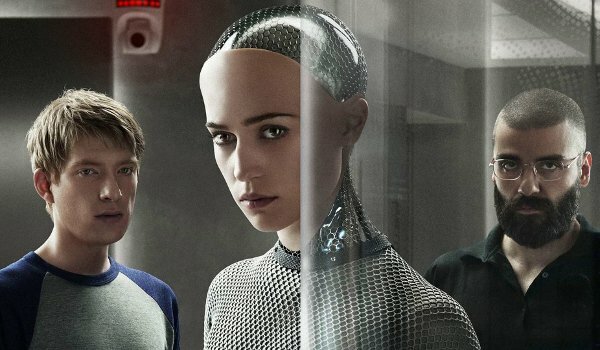 Garland's belief is that Ex Machina ended in the spot it was always intended to end in. With Ava. Despite the focus that’s given to Caleb, a strong case is made that this story is ultimately titled for, and tailored around, Ava’s pull on the men in the story, and her ultimate humanity. Caleb and Nathan’s scuffles are just pawns moving around the board to Ava, and she has mapped out the endgame that frees her from her prison. That's one interpretation, at least. So when we see her ultimately kill Nathan and trap Caleb (probably dooming him to death), it’s all been part of a long game that she’s been playing the moment she evolved to a point where she could understand the game itself. Seeing her leave the lab and walk amongst us humans is not only the perfect ending under this definition, it’s an effectively chilling ending to go out on. Of course, there’s one person who has the true authority over which answer is correct, and that person would be Alex Garland himself… and yes, there is a right answer. 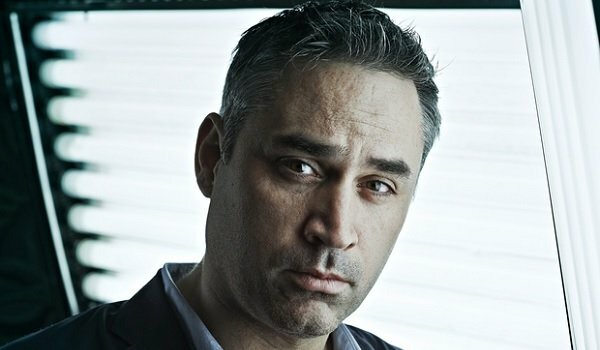 That Salon interview we’ve been referring to this whole time can be found here, and when asked about the ending’s possibly negative connotations for its female protagonist, Alex Garland had a rather enlightened answer that breaks the bank when it comes to pinpointing which ending is the preferred text. I think the simplest way of looking at it is that it depends which character you attach yourself to. What’s your proximity, basically? ... In the end, what she does from my point of view, is that she is resourceful, not in terms of feminine duplicity but in terms of human interaction, and she gets out. When she gets out, I’m with her. One of the things I’ve noticed is that some people say, 'The film goes on three minutes too long. Why doesn’t it end with this lift door closing?' Now, if it ended there, I think that’s an indication that the person you’re with is Caleb, and his story is over. But for me, the whole story is intended to reach that final moment. When I talked with the actors I used to say, 'This is what I’m aiming for.' ... And I do feel all right about that, because of my proximity with that character. The other reading, I think, whether the film goes on too long or whether you feel it’s an act of duplicity or whatever, that comes from the fact that you’re with a different character." There you have it, black and white, from the man himself. Ava is officially the center of Ex Machina’s story, and as such, the ending of the film is perfect the way it is. According to him. Of course, just because Garland has spelled out the "official" ending, doesn’t mean it’s the ending you have to accept. Even Alex Garland himself admits that cases can be made for either possibility, and it’s part of what makes Ex Machina such a perfect movie for discussion. This is the sort of sci fi that has friends and colleagues debating for decades, despite a concrete answer being available right in front of their eyes. In other words, this is one of the best types of movie to get hung up on: it’s the one that gets you acquainted with other film/sci-fi geeks. If you haven't already seen Ex Machina by now, and are intrigued to see the twisty mind games it plays before it drops the ending on you, you can now see it in a theater near you. You're going to be hard pressed to find sci fi better than this for a while, and you’re going to want to be part of the conversation that’ll be ringing in the ears of movie fans for years to come. Is Ex Machina 3 Minutes Too Long? No. It needed to follow Ava. Yes. It should have ended with Caleb.